The Dalin Center is close to the Obor shopping area. In the vicinity of Victoria Square, which is about 2-3 km away, you will find numerous shops, cafés, bars, night clubs and cultural events. Visitors to Bucharest can't miss a trip to the spectacular Palace of the Parliament, currently the largest building in the world - it is 4 km from the hotel. It is located on Str. 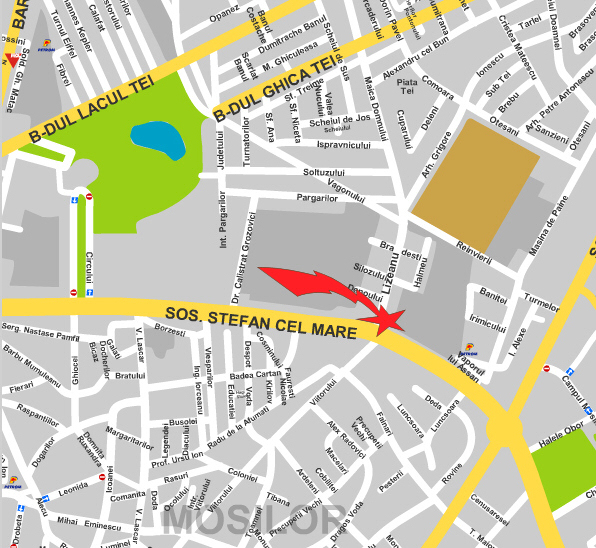 Stefan cel Mare no 33A, within walking distance of most objectives in the city and easily reachable by public transport.